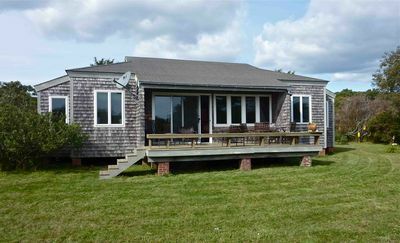 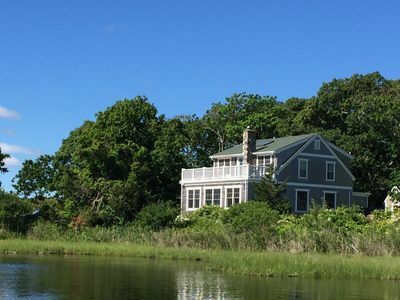 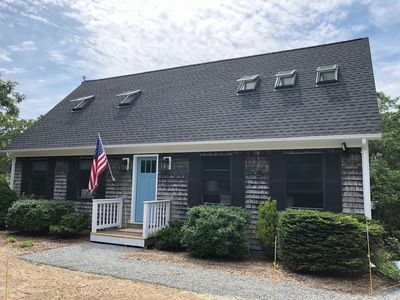 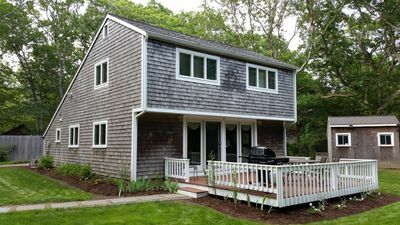 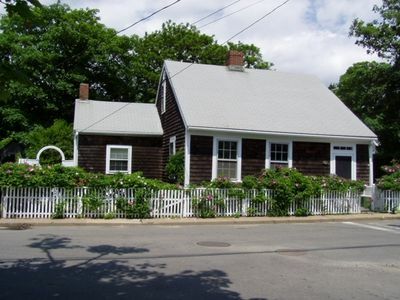 Our waterfront cottage on Chilmark Pond is a short wade to a stunning barrier beach on the Atlantic Ocean and has a lovely view on the pond from the front deck. 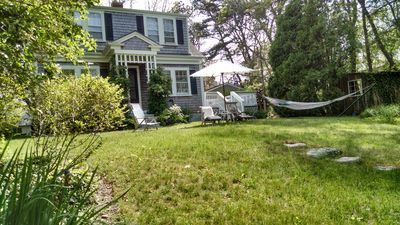 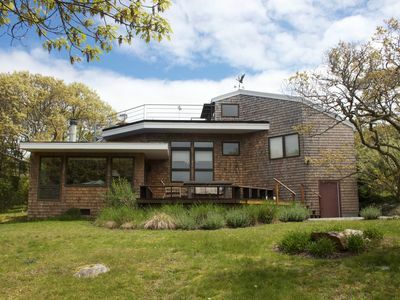 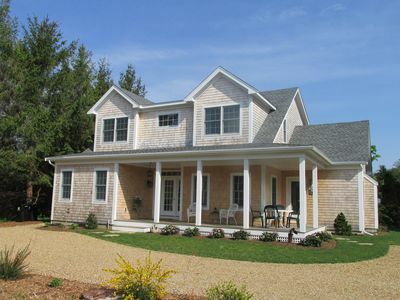 There is access to Abel Hill Association tennis courts, miles of private beach for walking, swimming, body surfing and birding and Chilmark Pond for boating. 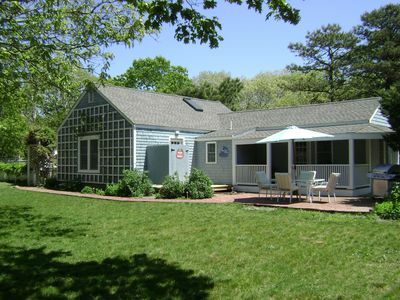 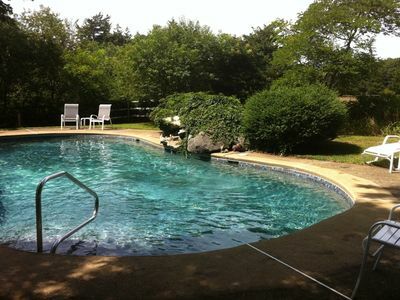 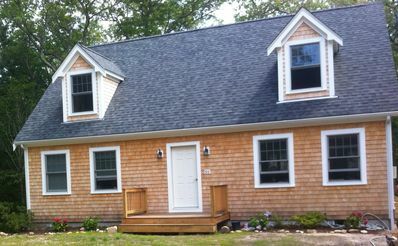 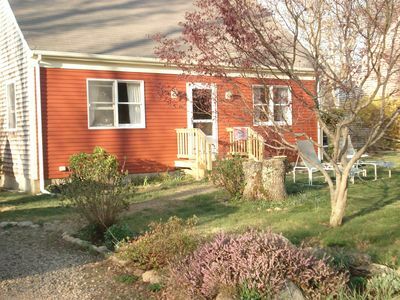 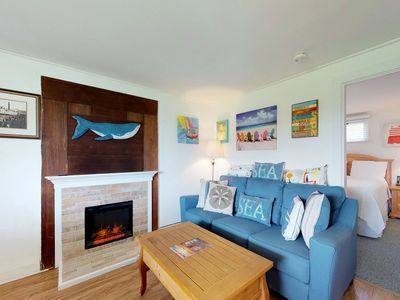 We are a few minutes walk to a shallow wading beach on Chilmark Pond that is popular with small children. 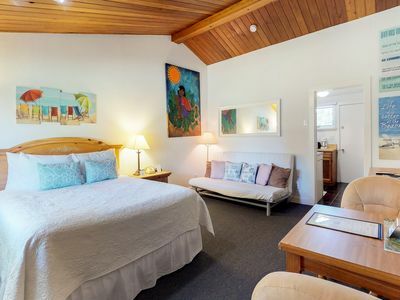 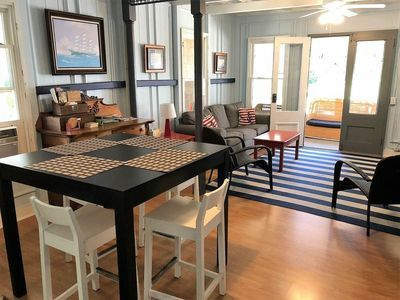 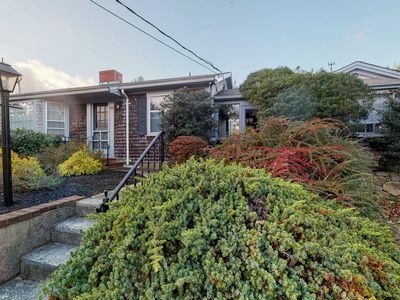 In the main house there are 3 bedrooms, a spacious open, bookshelf-lined family room with a large round dining table and smaller puzzle table, a very well-equipped kitchen, a full bath and a half bath. 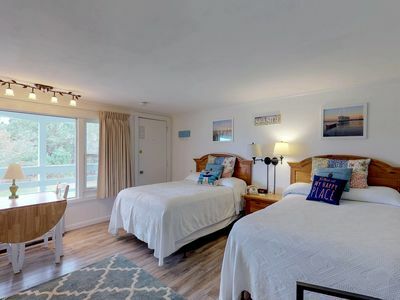 The close-by back house has twin beds and a bunk bed, a half bath and a laundry room. 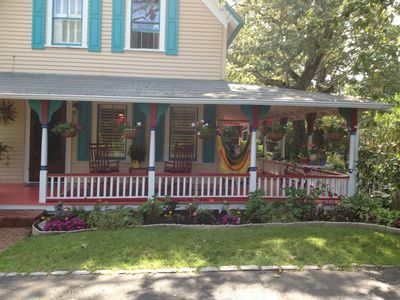 It is a great place for kids or guests. 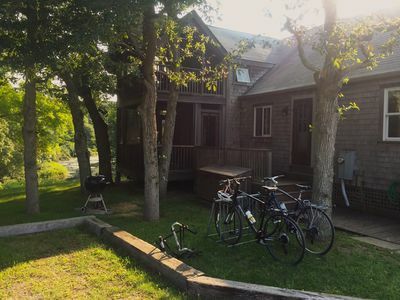 Abel's Hill is a short ride to Menemsha's fish stores and great sunsets. 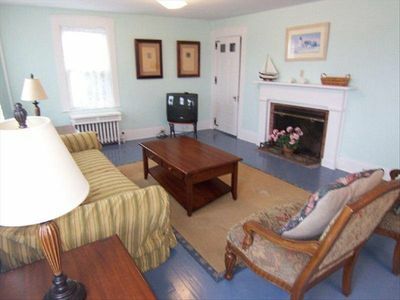 The use of beach chairs and a canoe is included.